To even apply for an aircraft mechanics license in the United States, The applicant must swear to and demonstrate they can read, write and converse in English. There is a very good reason for this. The instructions on how to work on planes are all written in English, and people who can’t read English can’t follow directions and do safe work in an English speaking system. Non aviation people might want to have some kind of “bias examining encounter group with safe spaces and neutral pronouns” but I’ll bet they wouldn’t want to take an airliner to such a conference if they were told the mechanics who just worked on the plane couldn’t read the maintenance instructions. Here is a more practical problem I deal with: I have a number of builders who evidently can’t read English, or if there are too many words in a story they think it is justification for not following the content. I have no sympathy for this. The average A&P mechanic with 25 years of experience, like myself, earns a whopping $36K /year. (Yes, the professionals who worked on the airliner that took your family to Disney World last year are paid less than your wife’s hairdresser.) And for this salary, they are willing and able to read the most convoluted Air-worthiness Directives, Instructions which are the mutant products of the FAA, Lawyers and Engineers, all to protect the safety of people they will never meet, people who’s sole criterion for selecting a ticket was how cheap they could buy it. And that is why it stuns me that a guy who is fully planning on flying himself, his wife, his kids and his grandkids in a plane, can’t force himself to read a few paragraphs in English and follow the directions they contain. A&P mechanics do for strangers, what these people will not do for their own blood. Before anyone suggests that A&P’s are professionals, just remember that Physics Chemistry and Gravity don’t have a different set of laws for homebuilt aircraft, all the work on flying planes must be done to standards. So, Lets look at an example form the previous story, about someone who either can’t read English, or has an attention span that didn’t carry them through 3 pages of instructions in big print with pictures. 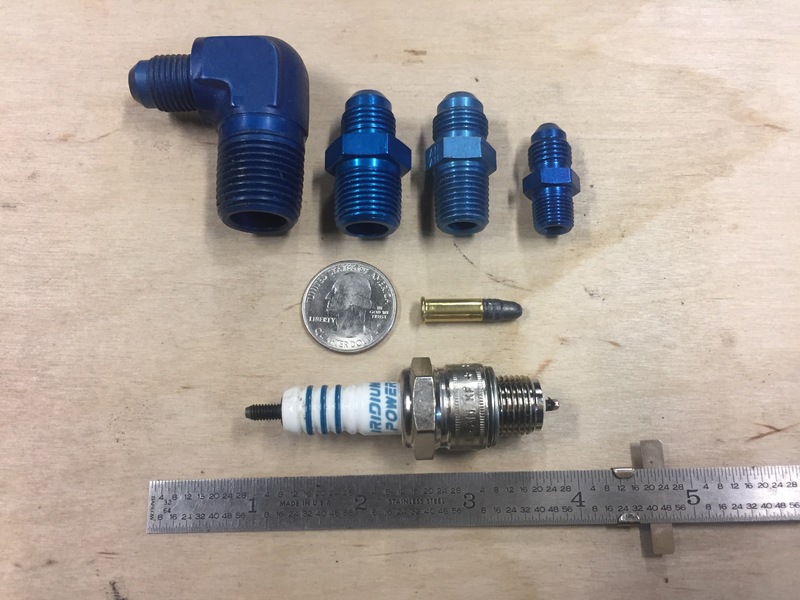 If you are a Corvair builder, what is wrong with the oil pressure sender above, besides the fact it is completely overloading the 1/8″-NPT threads? The correct answer is the sender isn’t even screwed into the correct hole for pressure. 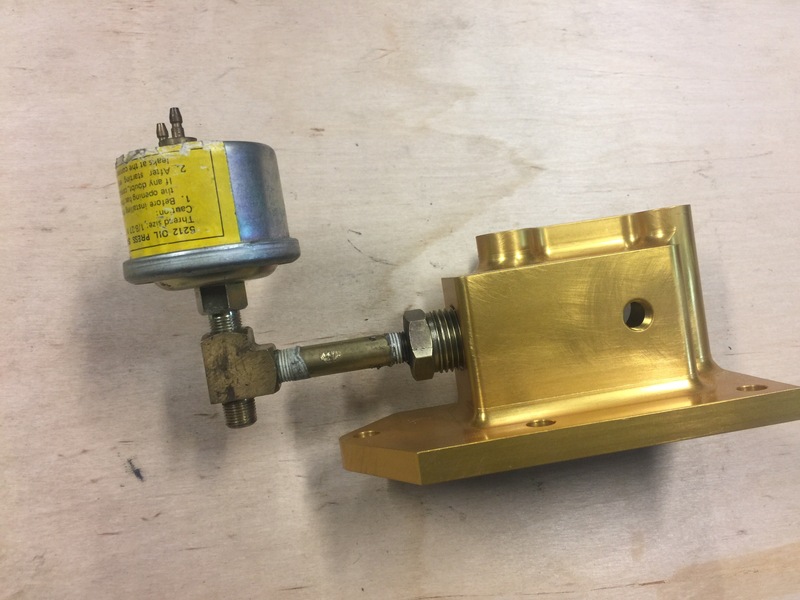 The 3 pages of instructions that are shipped with every Gold Oil filter housing clearly state the temperature sender goes in the 1/2″-NPT port, and the pressure sender goes in one of the two 1/8″-NPT ports. That is just plain English. The guy who sent the picture to my friend reversed this. Result? He will be reading falsely high oil pressure, and falsely low oil temperature. Give him an adjustable oil pressure regulator, and he will crank it down until he starves the bearings of oil; On cold days he will wait forever for the oil temperature to reach acceptable levels. On hot days he will have no real idea how hot is oil is. Who’s fault is this? It is 100% the fault of the guy who couldn’t be bothered to read three pages of big print and pictures to protect his family. The really ironic part was the person who made the contraption was writing my friend because they noted the sender instructions required it point upward. So they followed the instrument makers instructions, but not the guy who wrote the book on the engine. Make sense of that. I am sure there will be several people who claim they were justified in ignoring the directions because the sender their “glass cockpit” company sent wouldn’t thread in the hole I told them to put it in, so they stuck it in a different one. 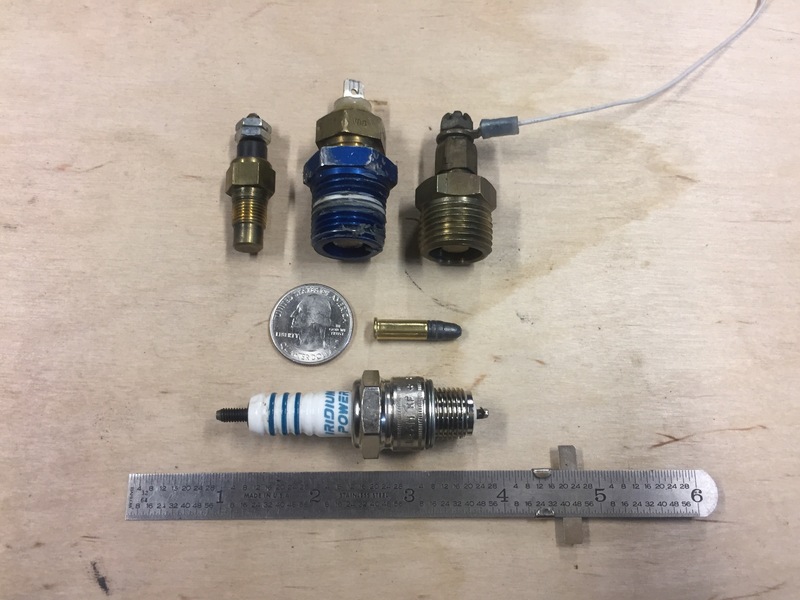 Here is reality: Top left is a common electrical temp sender in 1/8″-NPT. 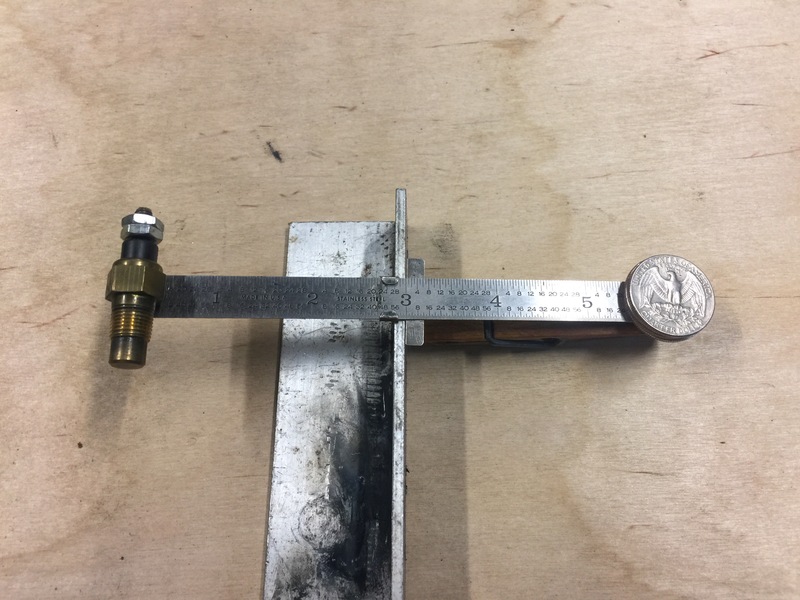 To put it in the 1/2″ NPT temp hole requires one AN-912-6D bushing, page 110 in the Aircraft Spruce catalog, it is going to set the builder back a whopping $6.50. That is what is pictured in the middle. 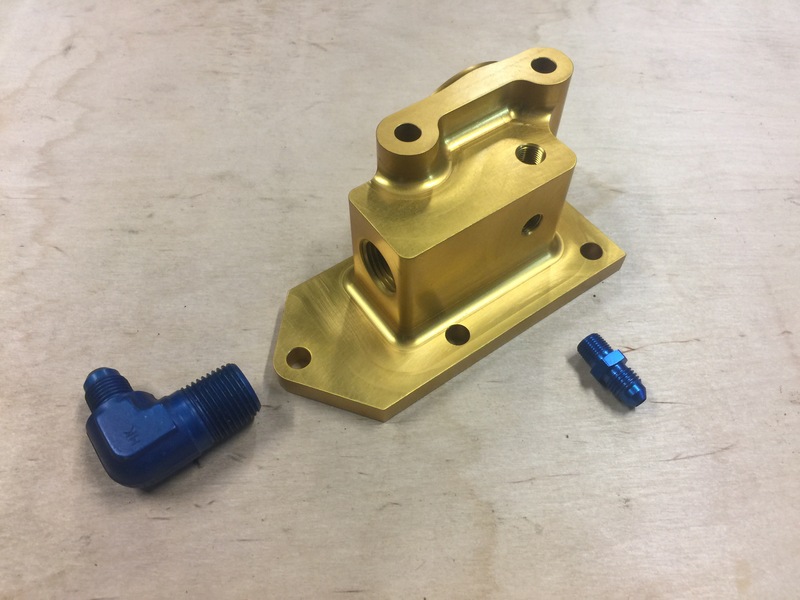 The end is a brass version of the same idea with a temp sender in it, but I ripped it out of a plane because it is a dumb idea to have a Chinese fitting that weighs three times as much as it needs to in your plane, and probably costs the same. If anyone consistently finds themselves missing simple instructions like the ones above. Seriously consider making a concerted effort to find out why, and how to bring more attention to bear. Do this now, in the building phase, because the later flying phase has very harsh penalties for people who make a lot of mistakes and have trouble following operational instructions. If anyone thinks missing instructions or not following them is justified because I don’t write in short enough sentences, They should PLEASE, write that to me in an email. Because one day, when something bad happens, I’m really going to appreciate having that letter when the FAA, their insurance company or the lawyer their wife hired calls. If this tone sounds offensive to anyone, stop and think of this: What if you had a 25 year family business, and some people never read the instructions you carefully wrote sent, and taught for free. How would you speak to such people if you had plenty of evidence that a good number of them were willing to take 0% responsibility for the outcome of their choice, and some of these people felt perfectly justified in hiring lawyers to lie on their behalf in an attempt to rob you? What if you were raised under these ethics: Values of my Father. What tone would you have? I firmly believe that people have a right to destroy their own lives. I just don’t believe that they can later hold other accountable for their choices, but obviously we have plenty of people in our country who find nothing wrong with that. 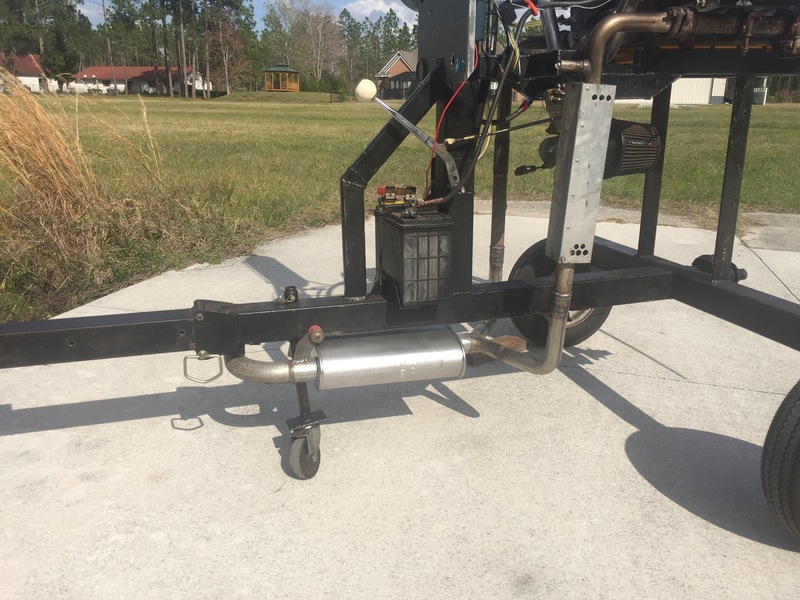 Project of the morning was going to the scrap stainless tubing bin and buying a $29 muffler for the test stand. I want to make the runs at Corvair College #39 quieter, so they do no interrupt ‘Classroom discussion’ at the College. Below is a sound sample of the same engine as yesterday, a 3,000 cc engine built for a Zenith 650. Above, the 2 into one Turbo muffler exhaust system. In the last 40 years hot rodders have purchased a zillion ‘Turbo’ mufflers, and 98% of then never knew the origins of the design are Turbocharged Corvairs. This particular one is a Thrush, made in the USA…..Now wait for it……Yes the made in China one cost $4 more. I would like someone to explain to me how that can be blamed on excessive blue collar American wages. Above, same engine running. My manual has more information on mufflers more appropriate for flight, we used one on my Pietenpol for years. 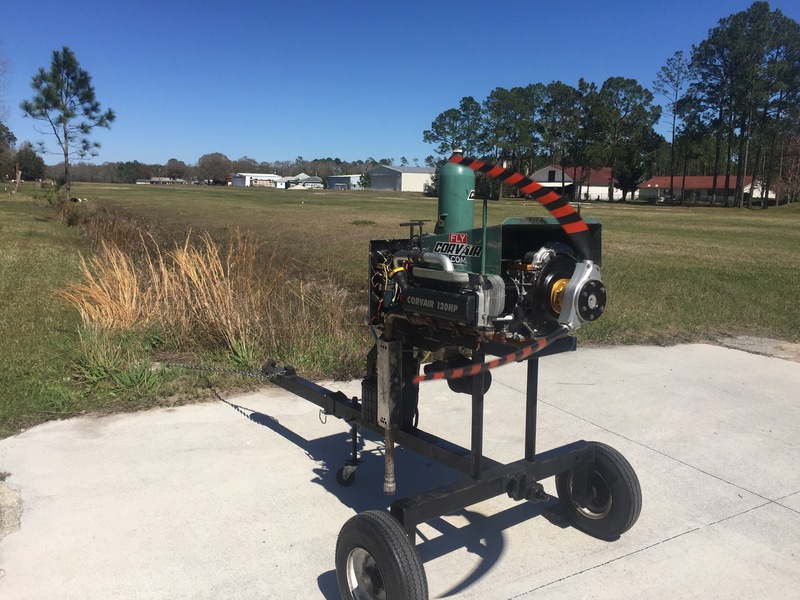 His set up is about as quiet, and builders who attend the College will be able to judge is a muffler is something they wish to add to their aircraft. Another engine on the break-in/run stand in my front yard. Photos taken Sunday morning, early this week it will be on the way to it’s home on the front of a Zenith. Above, engine running on the stand. We break in the motor for 30 minutes with the rpm varying from 1800-2200. 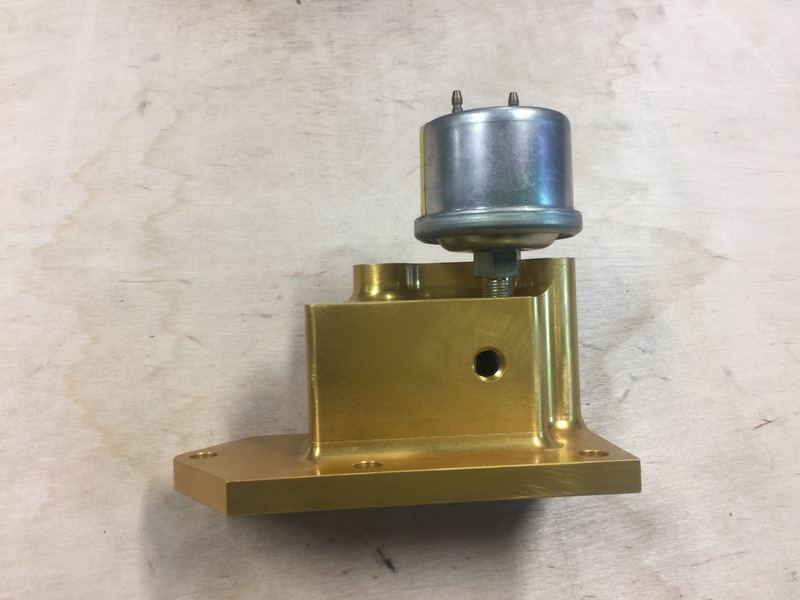 This takes care of mating the cam and the lifters. 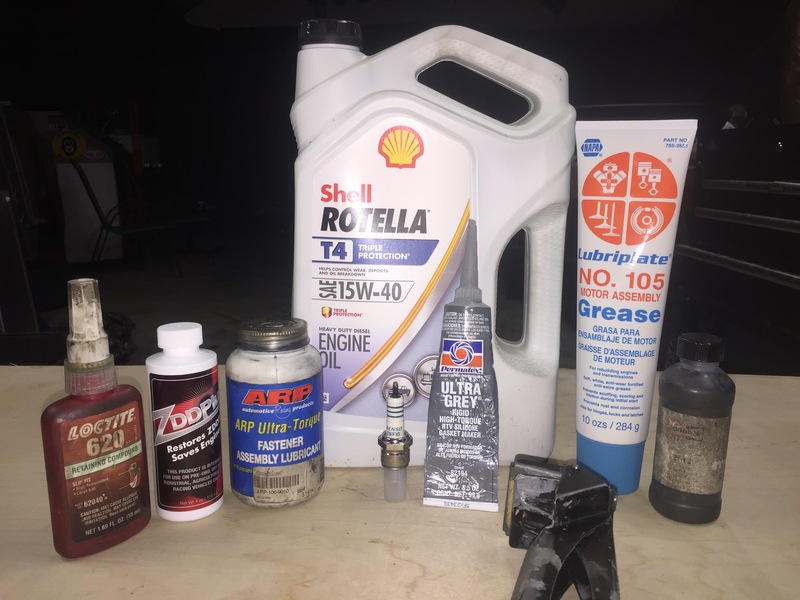 The run is done on Shell Rotella T4 oil with ZDDP added. 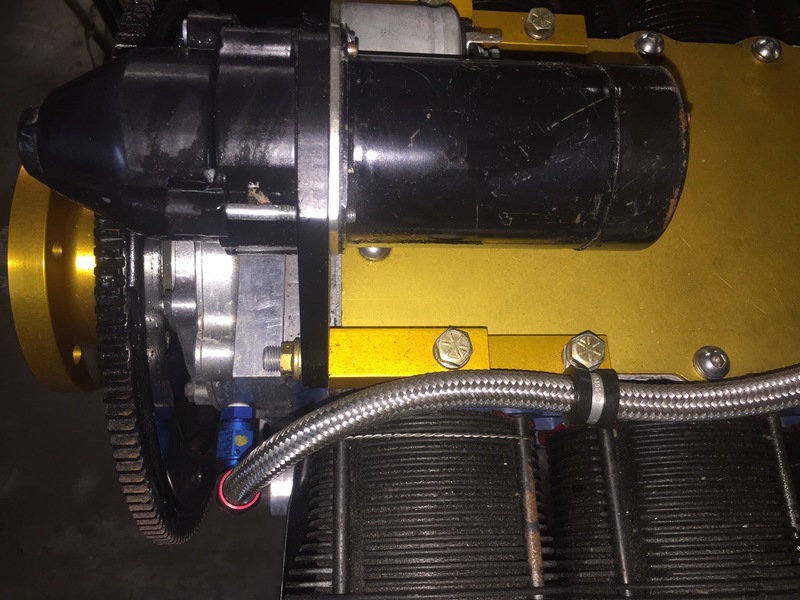 Compared to many other motors, the Corvair is very easy to break in, as it almost never has an issue seating the rings very quickly. Above, 13 second clip of the engine running at 2,000 rpm. Above, front view. Perfect 70 degree day with unlimited visibility in North Florida. The engine is assembled with parts exclusively from FlyCorvair and SPA/Panther. 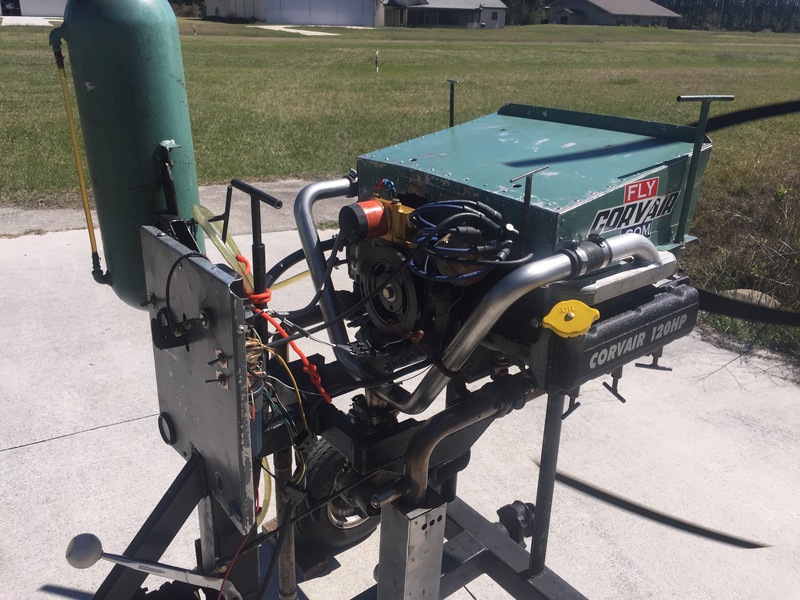 Over the years, the stand has run hundreds of Corvair engines. We are less than three weeks away from the first college of 2017. 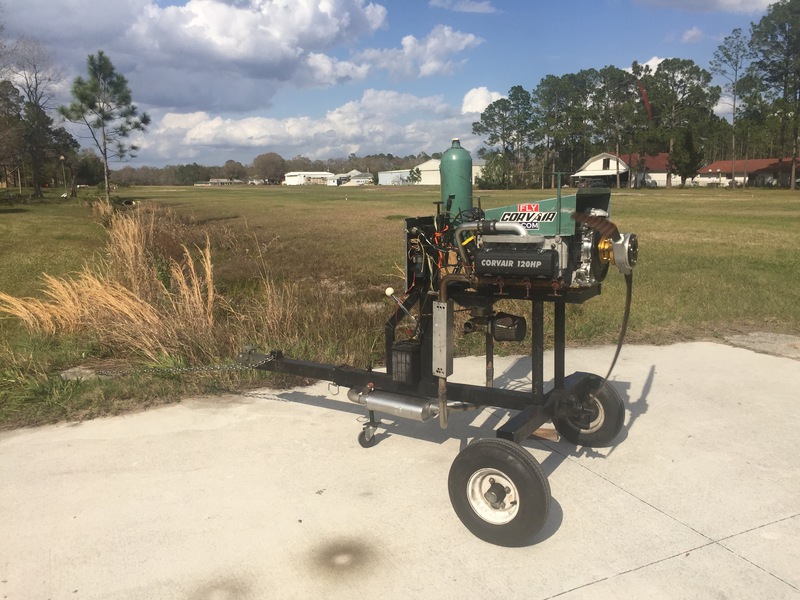 Going to the college or not, well prepared builders will use the correct, specified supplies for building their engine. I write about this frequently, but here are all the major items drawn into one photo. I encourage builders to use the comments section to share additional sources for these items. They are commonly available, and there is no reason to substitute other supplies. Permatex Ultra Grey RTV sealant, from NAPA or other auto parts stores. Lubriplate 105 grease, used on all O-rings, from NAPA or other auto parts stores. Champion Spark Plug Lube, from Aircraft Spruce. 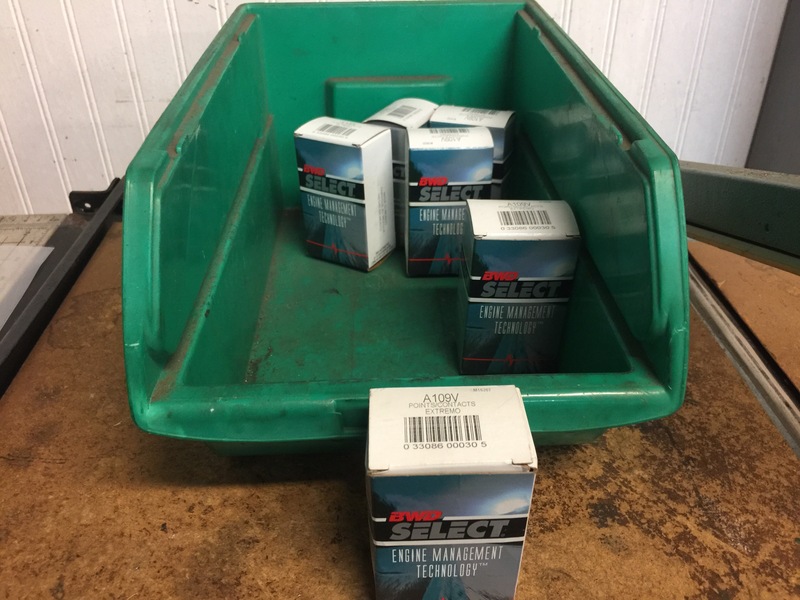 Read story:Spark Plug Installation. The item at the bottom is a tool that perfectly squeezes RTV tubes, many people have seen mine at colleges. Dan Weseman has access to more of these if you want to buy one. Not pictured is Loctite 515, for installing a 5th bearing. 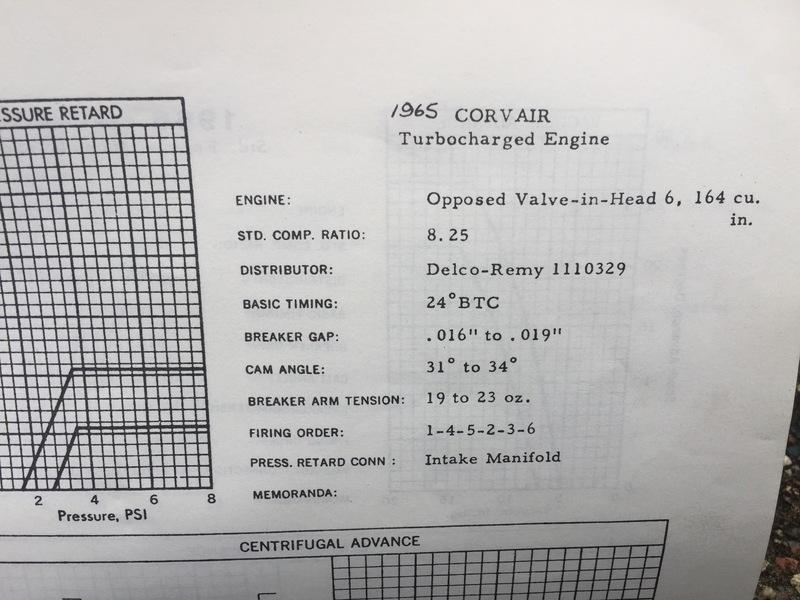 While you are at it, please read: List of “back to Corvair College” supplies, it is a list complied by Tim Hansen, an incredibly prepared builder who, no surprise, has a running engine. Thank you, for your part in making the world a better place and lowering my blood pressure. I worked in the hangar today prepping a production engine for a test run tomorrow. Although it rained on an off here, it was tee shirt weather, and a good day for getting into a working groove. In the afternoon, Vern stopped by and kept me company, and we talked about all the things we would like to do this year. Somewhere in the conversation Vern brought up the my 1955 Simplex, which I keep as a piece of art in the living room. I have had the bike for more than 20 years, it stared as a bare chassis I found at the Turkey Rod Run. Vern asked when the last time I had it running was, and I said about 12 years. 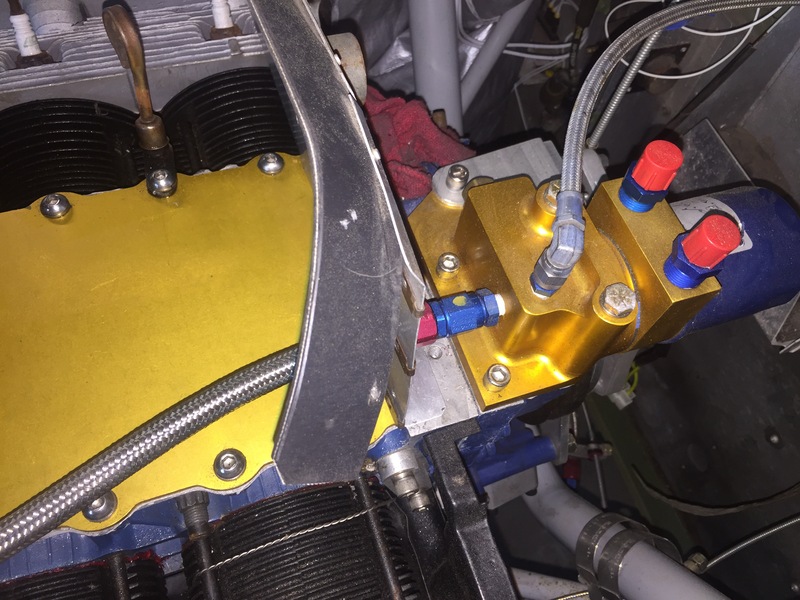 While I was prepping the engine, Vern wheeled the Simplex from the living room to the hangar and cleaned the carb and the gascolater. It didn’t take much monkeying, it started on the second pull. After airing up the tires, we took it for a few laps around the airpark. Above a 19 second movie of Vern riding the bike. “The Worlds Fastest Indian” is Vern’s all time favorite movie, thus the story title. Original Simplex’s had modest power. Mine has 2 times the output and an asymmetric Comet overdriven variable speed drive. The originals went about 35 mph. I clocked mine at 56mph on the taxiway at the Spruce Creek Fly-in, but since the tires are dry rotted today, neither of us did more than 30 mph or so. Above, the bike beside our runway at dusk. Simplexes were made in New Orleans 1935-60, at the worlds first air-conditioned assembly line. They were the brain child of Paul Treen. The bike only weighs 125 pounds. If you look at pictures all the way back to Corvair College #1, you can see it at our old hangar. 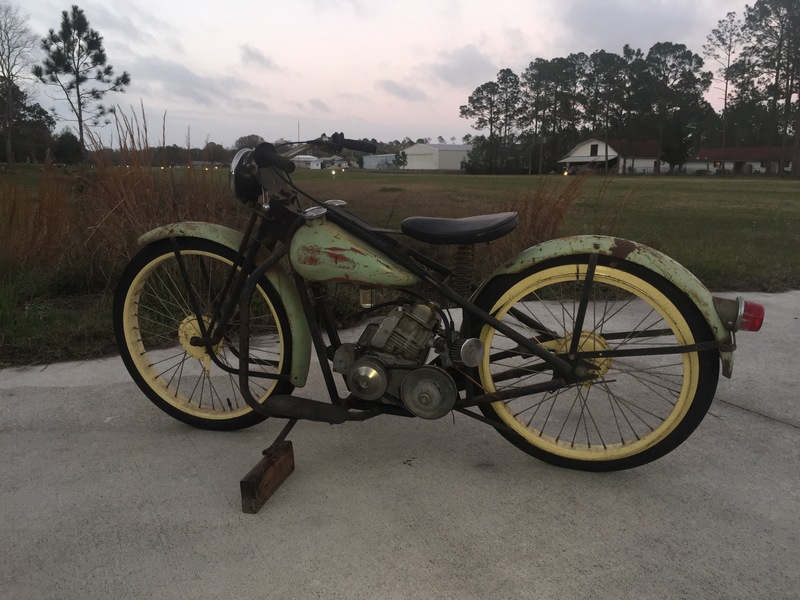 In 1989, I was offered a running Indian “30.50” Pony Scout for $2,500, but in a decision I have regretted ever since, I chose not to buy it for the shallowest of reasons: I only had $50 more than that in the bank. I like bikes from the 1920s and 30s, but in the 1990s, they became really unaffordable, so I caught up with the idea of making something of the same flavor. Thus the bike above. It really isn’t useful, but most art has no utility. Your Aviation Connection: If you are approaching home building for the best reason, because you want to lean, build your personal skills, and create something with your own hands, you will find that the skills you acquire, spill over into many other aspects of your mechanical world. This is particularly so for people who learn a lot about engines while homebuilding, a much smaller club. Vern and I knew how to start a decade dormant engine on the second pull, because we know how they work. There are a great number of people who can afford to buy any machine, but they live in dread of the moment it stops because they have chosen to know nothing about how it works. That is embarrassing on a bike, it has more serious consequences in planes. By choosing to learn all you can about planes, you are putting yourself in a small group of people….The ones who will know the rewards of homebuilding, not just the surface ones that can be bought by anyone. The last few weeks have seen builders with “issues” involving getting their engines to run on our ignition systems. Both of these builders stated that their ignitions were defective, in spite of the fact I test every single one of them before they leave the shop. Jumping to the conclusion that I sell defective stuff is not a rational response, nor one that engenders the better angels of my nature, particularly when both of the units were returned to my shop and tested, and found to be fine. 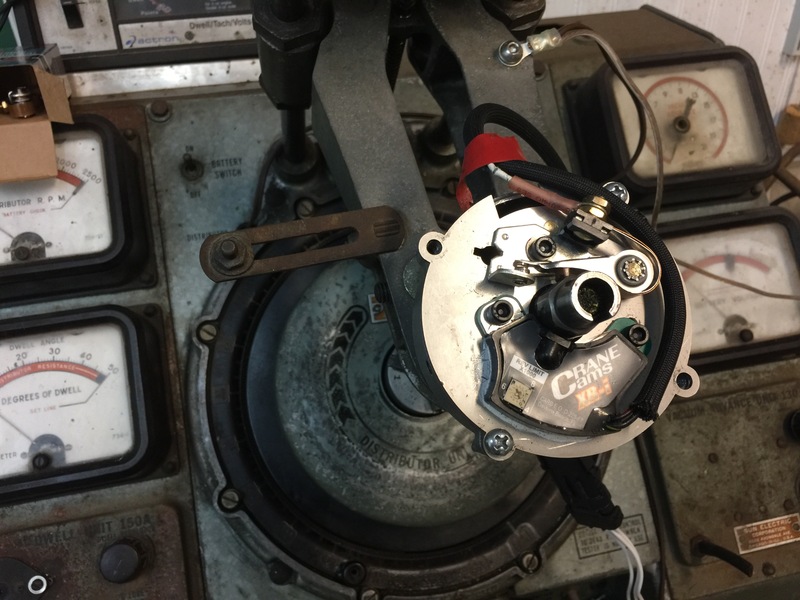 Here is a story about how to wire a distributor, the mistakes people sometimes make, and a example of an unreasonable response: E/P Distributor wiring notes: A link to our nine page illustrated instructions : http://shop.flycorvair.com/product/3301-epx-distributor/ notice these come with every distributor, and are on line also. They have not been to a Corvair College, even though they would learn the specific elements they are missing. They are not using information resources we have developed listed here: Outlook 2016 – The Corvair ‘Information Network’ now in gear. They didn’t follow rule number one of ignitions: DO NOT change the point settings, or anything else in the ignition, just install it following the directions. If you have any problem understanding them, DO NOT ask another person who doesn’t understand, just call us, before taking anything apart. I am developing a term called IUSF. This stands for “Insufficient Understanding for Safe Flight” I am not kidding about this, and I am going to write a story about this so when people are not reading instructions, or taking incorrect advice, or jumping to conclusions about tested parts, I am going to reference this story in a formal notice to them, and directly invite them to the next Corvair College for in person instruction. I will be meeting them ‘more than half way’, for free, in order to offer them an opportunity to develop a better understanding, so they can safely fly their plane. Some people “Don’t know what they Don’t know.” This will be a way of telling people they are not learning practical information fast enough to understand it before their plane is done. I can’t force anyone to do this, but neither will I be responsible for the results of people who choose not to understand the proven ways to install and operate our systems. Above: A General Motors engineering report on distributor advance, specifically referencing the 180HP Turbo engine. One of the builders said an engine can not be cranked with the ignition advanced. Really? Look closely, the initial ignition advance for all turbo Corvairs was 24 degrees at idle. Before a ‘helper’ convinces you of something about Corvairs, consider that I might just know more about them than he does. All of our DFI distributors : More DFI testing are based on cranking the engine with more than 20 degrees of advance. It works just fine. 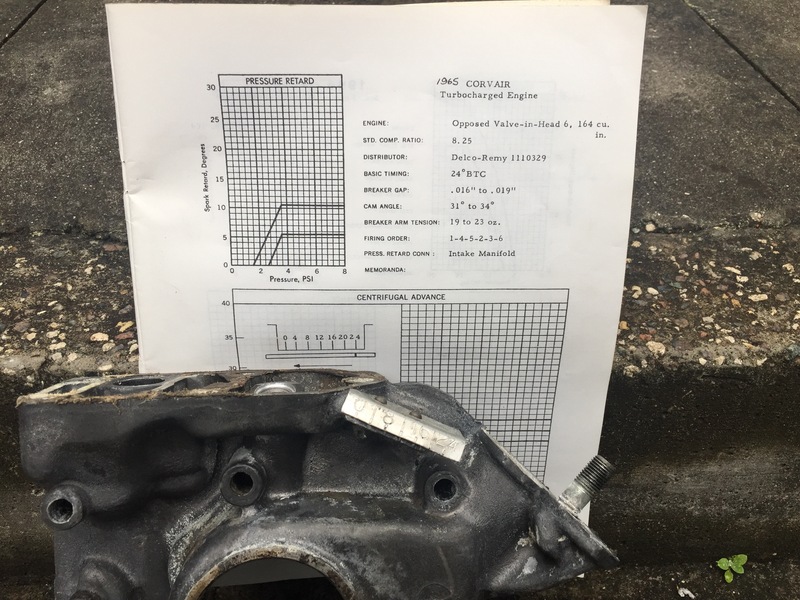 Same report, sitting on the steps of my shop today, with a rear cover from a 180 HP corvair, notice the factory sheet metal timing mark extention, so that the idle timimg can be set to 24 degrees. I don’t make this up, many engines, including aircraft engines without impulse coupled magnetos, are all cranked with full advance. 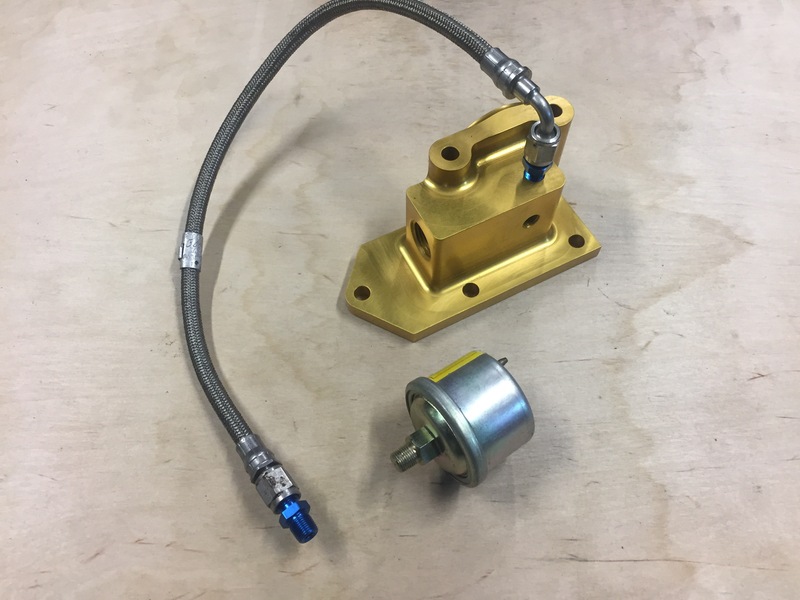 One builder had a buddy who said that his engine only ran when he installed the points above in place of the ones we use, because these were better, and noted we should look into using them, implying we sent him a second rate part. 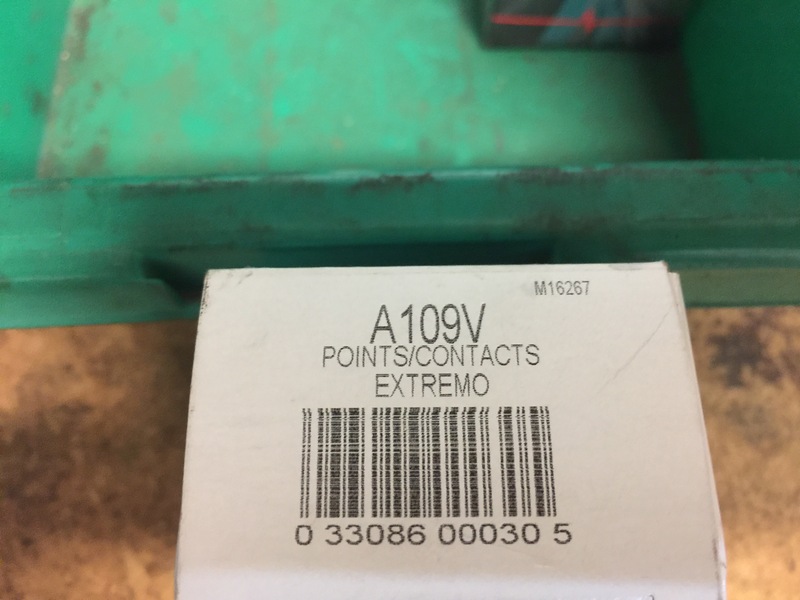 Same box as above, in front of my parts bin, showing that his helper wasn’t right, as I already use the identical points on every distributor we make. Yes, he took of the same set to replace it himself with the identical part, in spite of the fact the directions explicitly say not to touch the points. Distributor in my machine, returned by the builder, with the claim that I sent him a defective electronic unit. Guess what, it works perfectly. But, look at the white points wire: I pulled off a little piece of tape the helper put on, and low and behold, the wire had been cut by being carelessly pinched under the cap. 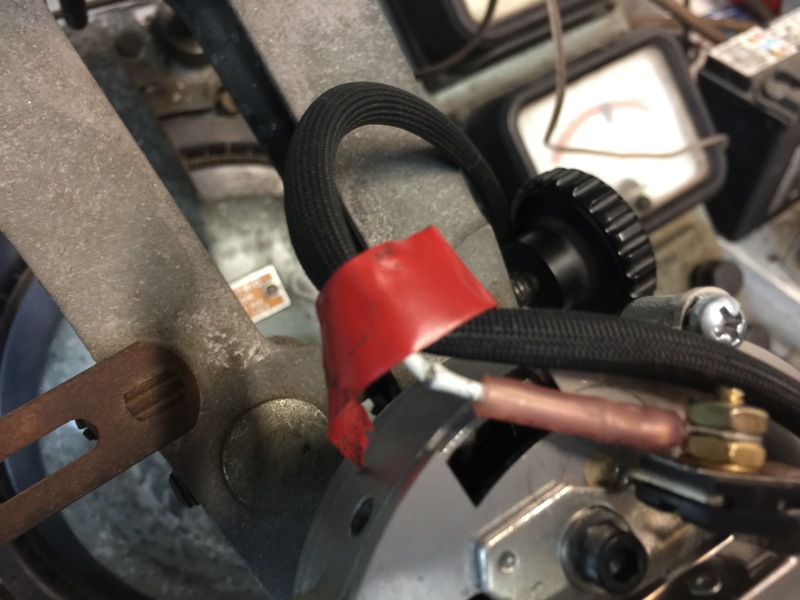 Just in case anyone is wondering, a piece of tape is not an acceptable repair to any piece of wiring with damaged insulation, anywhere on your plane, and particularly not in the ignition system. The owner said he didn’t do this, meaning it was the handiwork of the helper. Above, a closer look at the cut wire under the tape. If any person did this on a plane I was in charge of, and hid it, I would never let them in the hangar again. Working on planes is serious business, and you have to take it more seriously than this. I fully understand that people are not born knowing these things. But, you have to be willing to learn them, willing to follow the directions, willing to stop taking advice or ‘help’ from people who don’t know what they are doing, willing to use our information resources, and if you still don’t get it, you have to be willing to travel to a college to learn these things in person. That is as plain as I can say it. I do not say these things to offend, I say it to prevent accidents that never have to happen.